On January 28, American scientists successfully drilled a hole in western Antarctica and reached Lake Whillans, a lake under a glacier, referred to as a ‘subglacial lake’. This was not an easy task, since the lake has been hidden under about 1 km (half a mile) of ice.The scientists are studying the water from the lake, and expect to find organisms they’ve never seen before. The scientists had to be extremely careful to use tools and a method of drilling that would not contaminate the lake water. 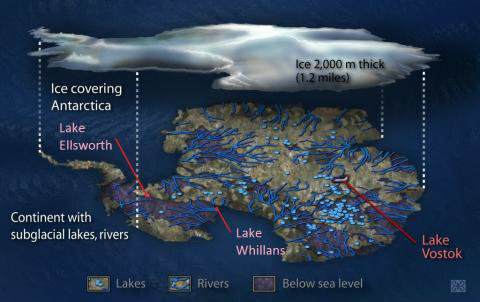 Subglacial lakes have liquid water because of the heat in the interior of the earth. 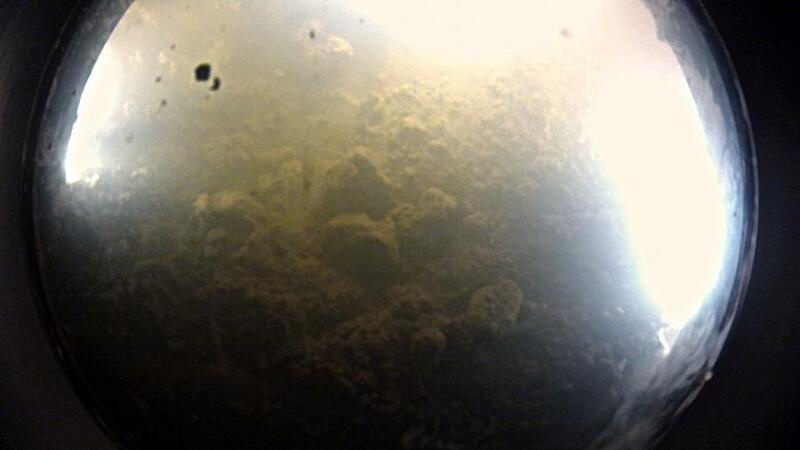 The photograph is a view of the bottom of Lake Whillans seen through the drilled hole. About a year ago, Russian scientists drilled a hole and reached a subglacial lake in eastern Antarctica called Lake Vostok. They haven’t announced any big findings yet. A couple of months ago, British scientists also attempted to drill down to a lake called Lake Ellsworth. They were unsuccessful. Here is a video showing how scientists drilled the hole. Did you know? Antarctica is a continent owned by no one and shared by many countries for scientific research.